One of the most anticipated films of the year, Rangoon, has failed at the box office and it seems like giving a shock to the film and it’s makers. From having a never seen before cast like Kangana Ranaut, Shahid Kapoor and Saif Ali Khan to making a love story of the British era, Vishal Bhardwaj put in his best efforts to get himself appreciated. But even before a film could run for a longer time, it was declared a super flop. 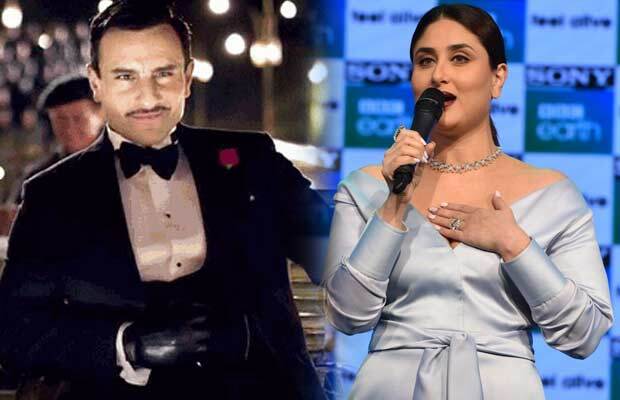 While the filmmakers are sad over the failure, Saif Ali Khan’s wife Kareena doesn’t look upset. This is what she has to say about the film and her husband. Well! Let’s see if he has something to say about the film. Previous articleBaaghi 2 Kickstarts On Tiger Shroff’s Birthday Today!